At Little Ankle Biters we spend a lot of time out and about with the family so we thought we would include our best experiences in one handy feature. Growing up in North Wales, Alton Towers was our summer school trip every year and I have really very fond memories of the park. When we visited we made a beeline for CBeebies land and made it around inside an hour and a half as it was extremely quiet. We visited on an inset day but I imagine if you visit during the school holidays or at the weekend it would probably take double the amount of time. The Octonauts Rollercoaster Adventure was by far our favourite ride in CBeebies land! Other attractions we loved were the Go Jetters Vroomster Zoom Ride, Get Set Go Tree Top Adventure and they spent a long time in Nina’s Science Lab so if you’re going on a busy day I would definitely recommend prioritising those. Smaller children would also enjoy Postman Pat Parcel Post and The Numtums Number Go Around. 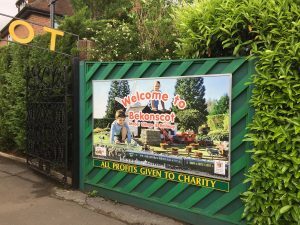 Located in the centre of Beaconsfield, Bekonscot Model Village, the world’s oldest model village is a fantastic day out the whole family will enjoy.A trip to the quaint little village is like a trip back in time, stuck in a 1930’s time warp there is something nostalgic and quintessentially British about it.The level of detail and craftsmanship had us all in awe and the kids exclaiming at every miniature shop, school and church we came across., and the model railway that chugs around the village had the younger children entertained for ages. Half way around there is a tearoom offering fresh homemade food, or you can, like us, take along a picnic to enjoy on one of the picnic tables in the large picnic area outside the tearoom. After lunch you can spend some time at the outside play area with a cup of tea and watch the children play before continuing to explore the village. 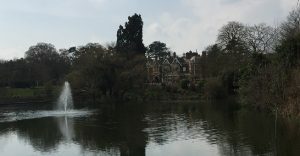 Bletchley Park is the home of British codebreaking that played a major role in World War Two, producing secret intelligence which had a direct and profound influence on the outcome of the conflict from the second world war. On arrival children are given a ‘Top Secret’ Mission Pack which was full of ‘must-see’ highlights along with activities and fun facts to enjoy. We used the mission pack to guide us around the park. There is a cafe in one of the huts that serves freshly cooked meals and children’s lunch boxes. There is also a coffee shop located in the visitor centre. Chessington World of Adventures is a fantastic family day out and there is so much to see and do. 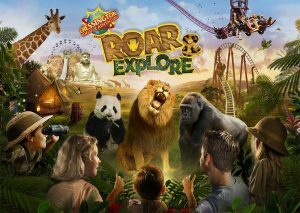 There’s the theme park which has rides catering for all ages, the zoo, The Sea Life Centre and daily shows and events. There are plenty of restaurants on site to choose from, or you can take along a picnic. The Eden Project is the largest indoor rainforest in the world and is a fantastic family day out. There are 2 biomes which are huge indoor gardens each emulating the Mediterranean and Rainforest climates, filled with the plants you would find growing in those parts of the world. 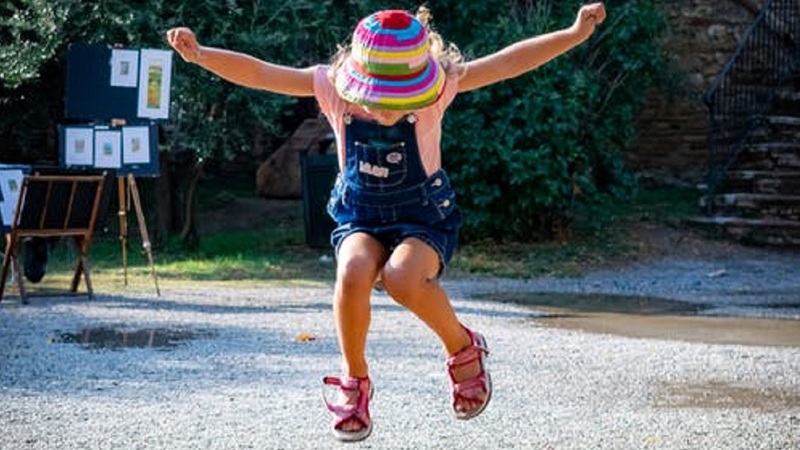 In addition to the fantastic gardens you can also visit the outdoor gardens filled with plants and sculptures, the giant next climbing frame and the children’s soft play. Located at the top of Westfield Shopping Centre is Kidzania, an indoor city run by kids. On arrival you’re met by someone at the desk who directs you to floor 3 to check in. Kidzania is sponsored by British Airways so the check in process is simulated to be like that of an actual airport. Each child is given 50 KidZos (KidZania money) and then you enter the little indoor city. The concept is fantastic, there are more than 60 activities for the children to choose from where they get to try out different professions over the 4 hour experience. These include being a pilot or cabin crew with British Airways , being a vet, a doctor, a dentist, a fire fighter, wrap maker, smoothie maker, fashion designer, working in the animation studio and much more. When we visited my children tried 8 different professions each including making wraps where they got to take a packet of wraps at the end of the activity, making a video in the Pokemon animation studio, smoothie making with Innocent, being a vet with the PDSA, a shop assistant in the KidZania supermarket – K Mart, a firefighter who work closely with the Police and Paramedics to deal with a fire, delivering post with the KidZania courier company, a Dr in the hospital, and they even took a trip on the City Bus Tour. Their favourite was delivering post with the courier company where they go off in twos with a trolley and clipboard with instructions to go and pick up or deliver boxes which was adorably cute to watch. Some of the activities you get paid for and others you have to pay to do with your KidZos and once the money is gone you have to work to earn more. For the adults there are lots of tables and chairs to sit at and have a drink from the cafe onsite and watch your children put out a fire or serve customers in the supermarket. The excitement starts as soon as you make your way up the loooong driveway via car to the park entrance, spotting all the Lego characters dotted in bushes, on the grass and on the signs. The kids will already be giddy and you’ve not even made it to the car park. 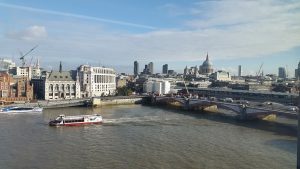 A trip to London is always a favourite in our house and when we do go we try and stay over a night or 2 so we make the most of our time there. Premier Inn have some great family rooms and are reasonably priced too. There’s no better way for children to see London than on a sightseeing bus. 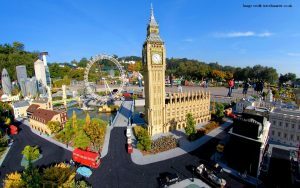 You’ll avoid the achy legs and get to see all the best bits of London including Big Ben, The Tower of London, The London Eye and Buckingham Palace. And, as the name suggests, you can hop on and hop off as you please, ticking off the landmarks and attractions as you go. What better way to see the city than from a massive ferris wheel. The London Eye is a great way to see the London from a different view point and the kids absolutely love it! That little know-it-all pig may be almost as annoying as her theme tune, but she sure knows how to plan a good theme park. Peppa Pig World sits within Paultons Park and is basically the equivalent of Willy Wonka’s Chocolate Factory for childre. Watch their little eyes pop out of their heads in awe as they step into Peppa’s world and come face to belly with their screen idol. We are regular visitors of Waddesdon who put on some fantastic events and activities for families during the school holidays and at the weekends. You arrive by bus from the car park at the front of the manor which is so beautiful it takes your breath away. The landscaped grounds around the manor are vast and pristine making it a pleasure to leisurely explore the gardens statues and fountains. 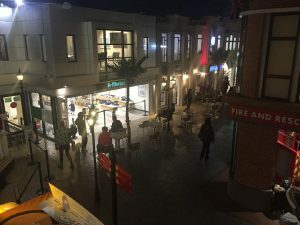 The woodland parks were very popular with my children and are located conveniently near The Treaterie, a cafe specialising in crepes and other delicious sweet treats. While we were there we headed we visited the house where they had a trail for the children called Poupon’s viewfinder. Poupon was a poodle trained to perform extraordinary tricks for house guests and went on lots of adventures with his master. With Poupon’s Viewfinder, you spin the wheel until you find the room you are in, follow the arrow to find a pattern to search for which are all at Poupon’s height or below, making it perfect for children. 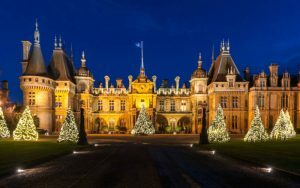 Waddesdon Manor is part of the National Trust where you can purchase an annual membership which is great value if you plan to go a few times a year. There are National Trust attraction all over the country.